You can choose one main color for your website design ! Enjoy and if you wish get in touch! A fox appears, and the little prince asks the fox to play with him because he is so unhappy. The fox replies that he cannot play because he is not tamed. 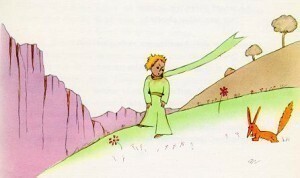 After a while, the little prince asks what the meaning of “tamed” is, and the fox explains that to tame is to establish ties, meaning that if they are tamed, then the fox and the boy will need each other and become unique in each other’s eyes, despite all the other boys and foxes in the world. 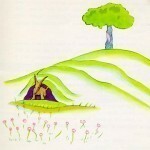 The little prince says that he believes there is a flower who has tamed him. The little prince learns about what it means to form a relationship with another. The fox teaches him that this process forms an important bond between the tamer and the tamed—it is not being unlike anything that makes something unique, it is the connection a something or someone has with another person or thing. Uniqueness grows out of a relationship. The fox discusses his monotonous life of hunting chickens and being hunted by men, and he asks the little prince to tame him so that his life might have more meaning. The fox teaches the little prince how to observe the proper rites and tame him, and the little prince does so. When the little prince is about to leave one day, the fox says that he will cry, but that being tamed has nonetheless done him good because the color of the wheat-grain will now always remind him of the little prince’s hair. The fox sees the normal actions of his life—hunting, being hunted, and which might be compared to grown-ups focus on “figures”—as lacking meaning when he has no relationship with anything. The meaning comes not from the fact that he hunts; it comes from whom he hunts for, or who it would be important to that he escapes hunters. Although relationships can open one up to sadness, the fox’s comment about the wheat suggests that the sadness is not as important as the fact that the wheat fields hold special meaning for him now—that it is a reminder of his relationship to the prince. The fox tells the little prince to go observe the bed of roses again, and this time the little prince tells the roses that they are not at all like his rose at home because no one has tamed them, and so they are empty. The little prince then returns to the fox to say goodbye. As they part, the fox tells him a secret: “It is only with the heart that one can see rightly; what is essential is invisible to the eye.” The little prince realizes that he is responsible for his rose. The little prince realizes now that his relationship with his rose is more important than her outward appearance and her superficial lies. He learns this by exploring and interacting with the fox, by “looking” with his heart at his relationships rather than with his eyes at whether something is original, whether it lies, etc.